Bathroom renovation series – The deluxe bathroom renovation. One in a series of articles that looks at bathroom renovations and what to expect at different budgets. The deluxe bathroom renovation may also be known as a full gut job. There’s the budget for getting rid of everything and starting from scratch by having all new fixtures and fittings exactly where you want them. 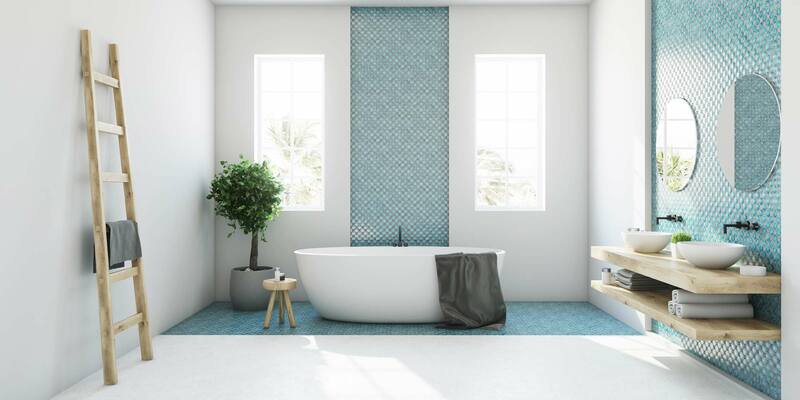 If you’re feeling adventurous or space and time dictate, you might also want to extend your bathroom’s footprint by extending the house or taking some room from an adjoining room. You may want to swap the placement of the bath, toilet and shower. You could even remove the bath and replace it with a sauna. Brand new high-end materials can be used with detailed molding, trim work and tiling. When it comes to cabinetry, solid wood construction with a custom finish and decorative accents will add a stamp of quality to your deluxe bathroom renovation. When it comes to tiling, natural marble, granite or limestone are top choices. As they’re difficult to cut and require more labour they’ll naturally cost more but every single tile will have its own unique character and last for years to come. 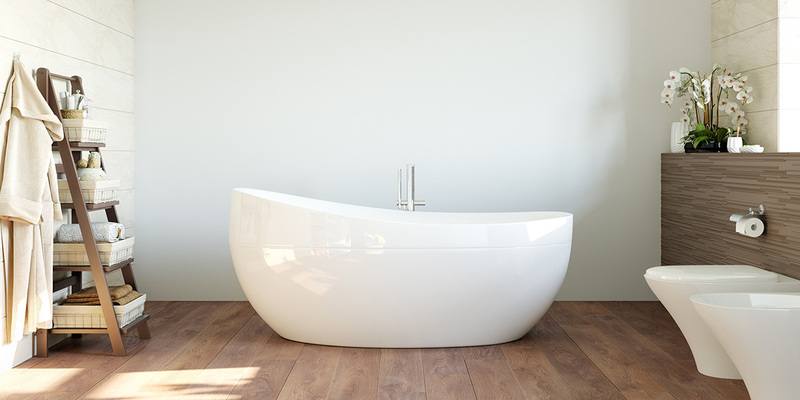 The finest quality finishes and parts are available in the deluxe bathroom renovation price range. This also includes steam showers and under floor heating. You may be able to save money by checking stone quarries for remnant pieces. Often there are leftovers from someone elses renovation project that can be cut to suit your needs. Who should you hire to help with your bathroom renovation? You’re likely to need to engage the services of an architect and engineers if you’re changing the footprint. You’ll also need a designer and subcontractors, like a mason, a tile layer, a carpenter, a plumber, an electrician and a general contractor. You will require permits and inspections. Check what permits are needed and what you may need a registered plumber or gasfitter for. A deluxe bathroom remodel is good for you if: You’re really getting the bathroom of your dreams at this level. Investing money back into your house and making it a lovely place to call home is what it’s all about. It’s also a great investment should you wish to sell further down the track. Whatever your budget, hire professional tradespeople, get quotes, contracts and ask questions before undertaking bathroom renovation work. 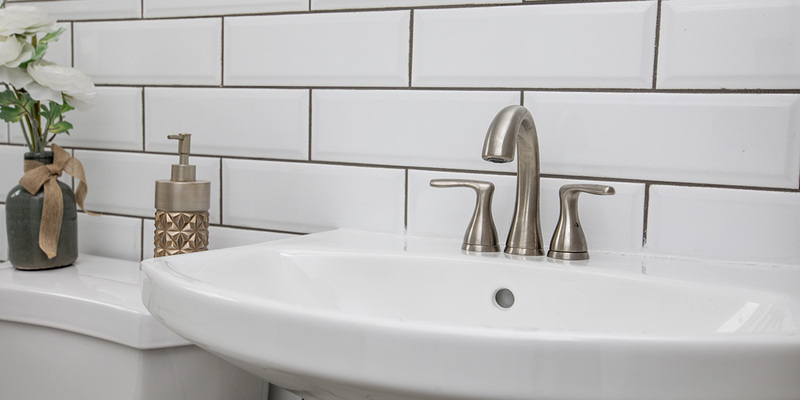 Green Plumbing – just how affordable and environmentally friendly is it? I need my 2 bathroom shower walls and floors regrouting. Can you help with this please. We can definitely help Sharen! Post the job you want done, then sit back and wait for tradies to get in touch.